Rhinestone Crystal Headband Only $2.99 PLUS FREE Shipping! You are here: Home / Great Deals / Amazon Deals / Rhinestone Crystal Headband Only $2.99 PLUS FREE Shipping! Looking for something new to do with your hair? 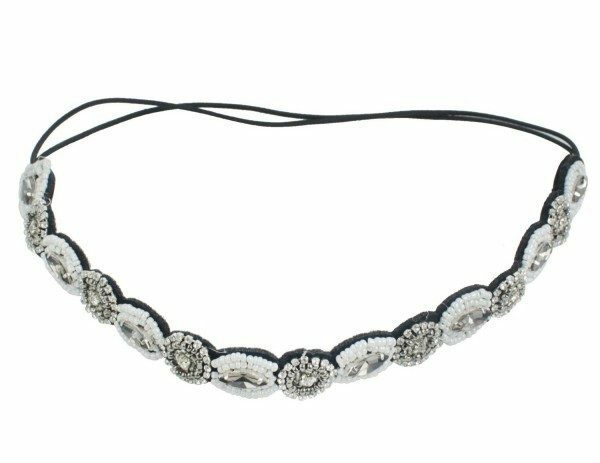 Grab this really pretty Rhinestone Crystal Headband for just $2.99 with FREE shipping! I wear my hair pulled up a lot, especially now that it’s hot out, and this will make my hair look much nicer! And, I totally can’t pass up this price! This headband is very trendy and works great with any hair style. The beaded portion of this headband measures 10″ inches long. This headband is made with an elastic band at the base for ease of use, flexibility and security. The shiny crystals will give you an elegant look. This headband is a great accessory addition or a wonderful gift for someone special.